Hamingja Medu “Hamingja” translates as mutable magic energy/force and “medu” means three things: inspiration, transformation and mead – hard to separate. 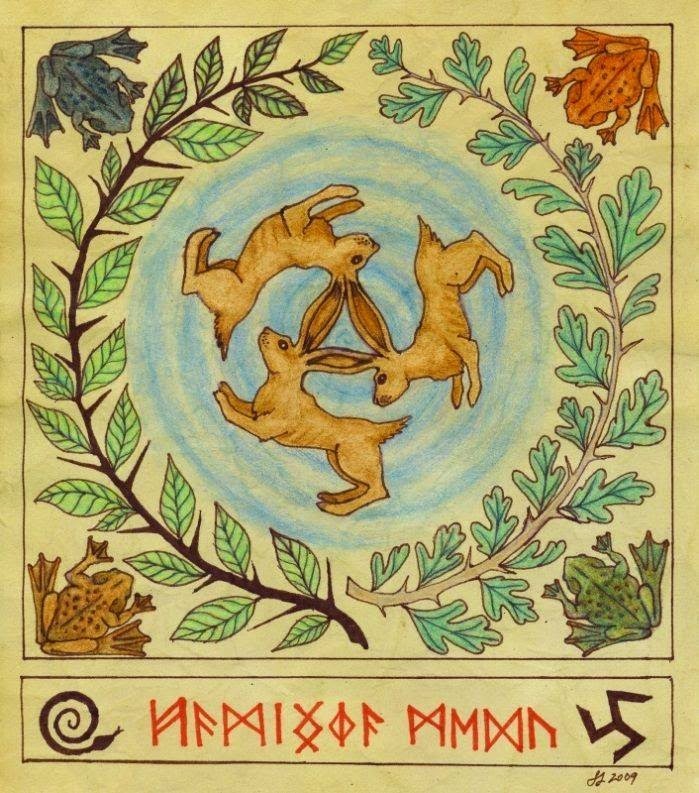 The meaning refers to the three hares symbol which forms the three-legged trefot or triskele symbol which symbolizes the ever-full well of magical inspiration as well as the meeting of the three realms of earth, sea, and sky. Blackthorn and Hawthorn are well known fairy trees in Europe.